Use it to flavor a stir fry, veggies, rice, whatever. 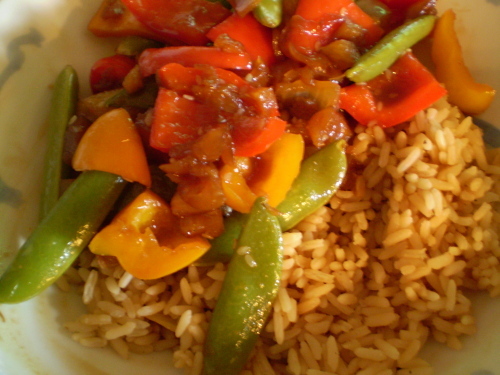 This sweet and sour sauce can be served with almost anything and is ready in about 5 minutes. It’s so easy to make and tastes great, you’ll never want to buy a bottle of pre-made sweet and sour sauce again. In a large skillet heat up vinegar and add brown sugar stirring until fully dissolved. Add pineapple pieces and juice and soy and bring to a quick boil stirring constantly. Remove from heat and serve with whatever your little heat desires.